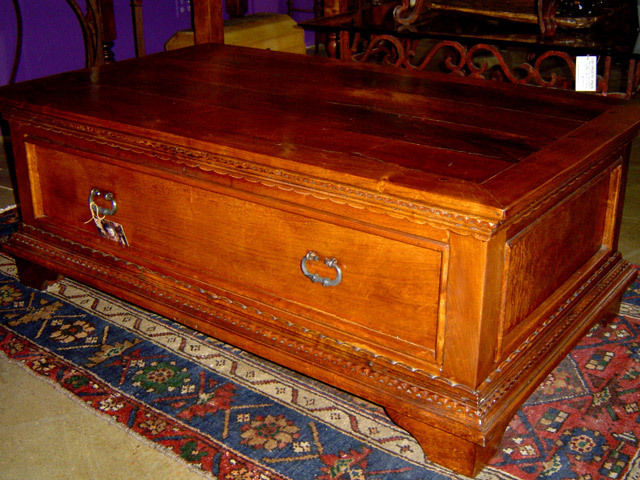 We create coffee tables from Mexican native hardwoods, antique mexican doors, wrought iron and copper. 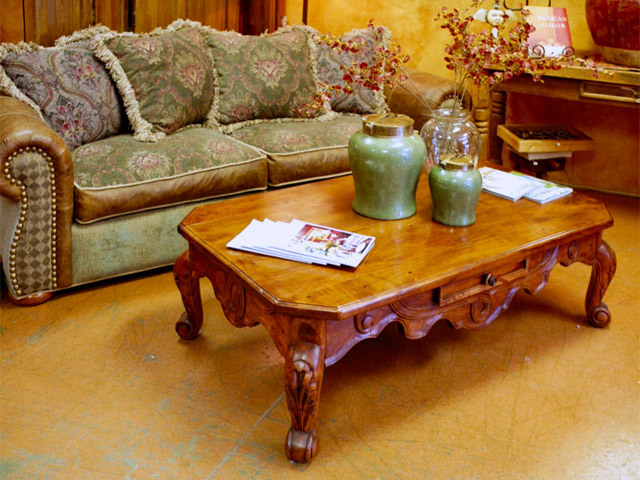 These coffee tables offer dramatic styling and are perfect for the Spanish colonial, Tuscan, and Mediterranean style. Some of the more contemporary designs work extremely well with Ranch and Craftsman style homes. 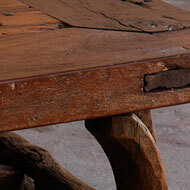 New coffee tables made from freshly hewn hard Mesquite have a rich hand finish which captures the warmth of the wood. 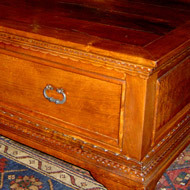 Mesquite tables add an elegant touch to the formal or even casual living room. 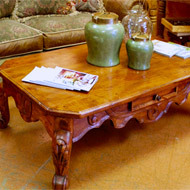 On the more eclectic side using a repurposed antique Mexican door as a coffee table creates a unique piece of furniture for your home. 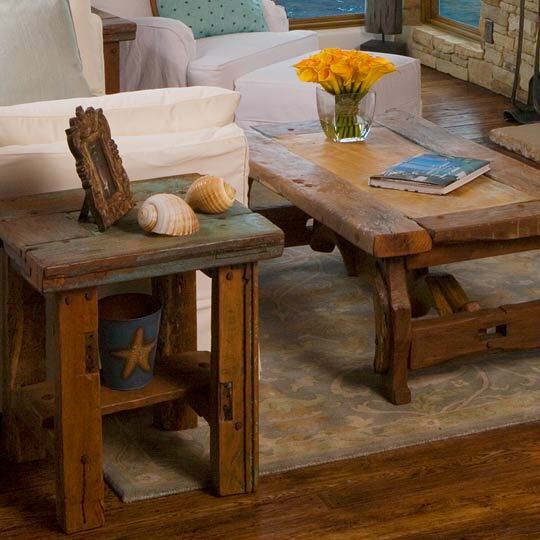 These one-of-a-kind tables are perfect for the family room. It is not only a conversation piece but something you can put your feet or boots up on and not worry about harming its surface. Some of the doors are available with their original paint color and hardware (hinges, lock plates and clavos ) all with a beautiful time worn patina. The legs for these tables are equally intriguing. We use the original door jams or old wood beams. For the more rustic, rancho feel, we use actual oxen yokes. 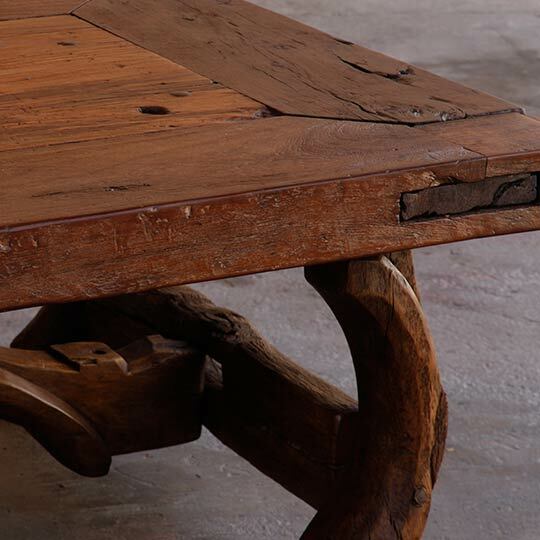 These tables are truly our signature pieces. We've been collecting doors from Mexico for over 20 years. 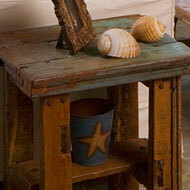 Our artisans refurbish them here in our California workshop into works of art.